Peter has been through the mill. 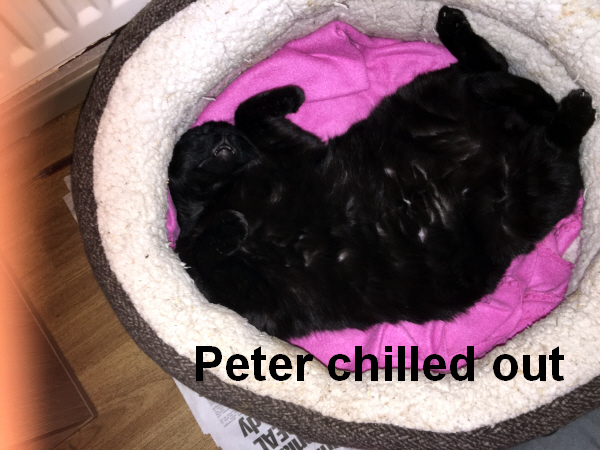 He has been a stray for some time, so behaved like a feral cat. He had a damaged left eye which left him with 2 options, one to lose his eye, and two to be put to sleep. 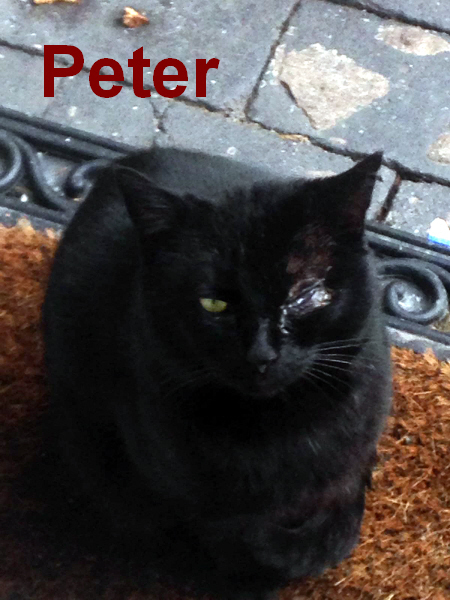 A dedicated vet who happened to be an eye specialist operated to save Peter's eye which was funded by a kind gentleman. 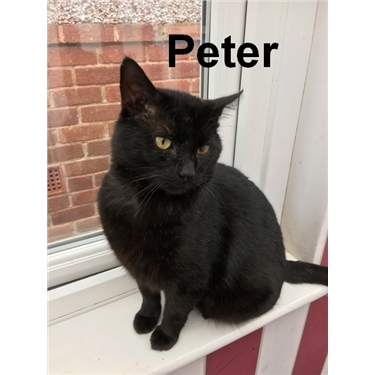 He has a discoloured eye but has some vision and is enjoying life. He is no longer feral but a lovable rogue looking for someone to give him a home.